Our experienced crews have installed equipment in Canada, the U.S.A and Mexico Scheduling for your greatest convenience. INOX-TECH adapts its work schedules to comply with customer shutdown requirements to minimize the disruption of installation periods. Our technical staff is available for continued on-site support and service. Equipment can be delivered skid-mounted or partially assembled to reduce in-plant installation time and costs. Plant & exterior site evaluation. Supervision of installation of cement pads, containment, or buildings. Supervision of equipment delivery and rigging. Field erection of over sized equipment. 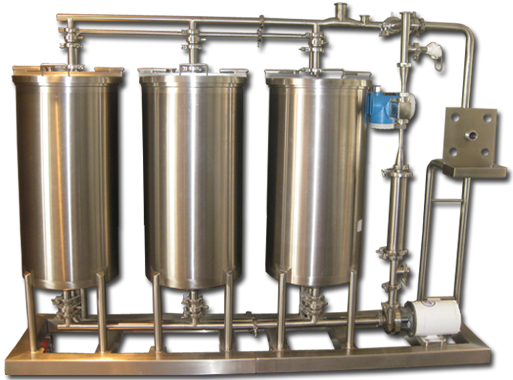 Installation and integration of equipment and skid-mounted systems. Start-up and training of customer personnel.